Prestbury Library – The Summer Holidays Start Here! A HOLIDAY WHICH proved to be a ‘revelation’ in more ways than one occurred back in 1986 in Austria. Now it may surprise you to hear that there are lots of mountains in Austria - they’re everywhere! And, of course, the best views are from their summits. And therein lies the problem (for me, at least at the time). I had a phobia about ascending and descending to the tops in cable cars and chairs. I would keep my eyes tightly shut until arrival - much to the amusement of my wife and all around me, even in closed cars or gondolas - don’t mention the open ones! This particular day we set out from Söll to ascend the Hohe Salve (views into Italy), but unknown to us it is a two-stage affair. The lower was a closed gondola and our ascent coincided with the lunch break shutdown for 1 hour. To my horror the second stage involved open single seat chairs. I froze!, before fortifying myself with lunch in the cafe. During this interval we struck up a conversation with a charming German man on holiday with his two delightful young sons. The crunch came when he asked if I would have one of his boys on my lap to go up as he couldn’t have both on his. “Of course he won’t mind,” said my wife brightly (thanks Dear). We eventually set off - eyes tightly closed as usual. Now this lad never stopped chattering from the off (I couldn’t understand a word of course) and I eventually opened my eyes to see what he was seeing. Through his enthusiasm I suddenly saw my surroundings as if for the first time (as indeed it was) and I was transfixed. When we arrived at the summit he asked his father to thank me for making him feel so safe and secure. And I’d been in a blue funk at the start! I guess that young lad is now most probably nurturing a family of his own and I’m sure he will prove as inspirational to his family as he was to me. THANK YOU to everyone who let me know how much the June magazine was enjoyed. This was mainly due to the contributors without whom there would be no magazine. I just put their articles together. The hardest part for me was getting the picture for the front cover. No travelling for me this time, the picture this month comes from a little closer to home! I am always interested to hear what you like and dislike about your magazine. If you can find time please let me know three things you like and three things which could be improved and we shall see what we can do. As we prepare for our summer holidays we have another variety of articles on offer. 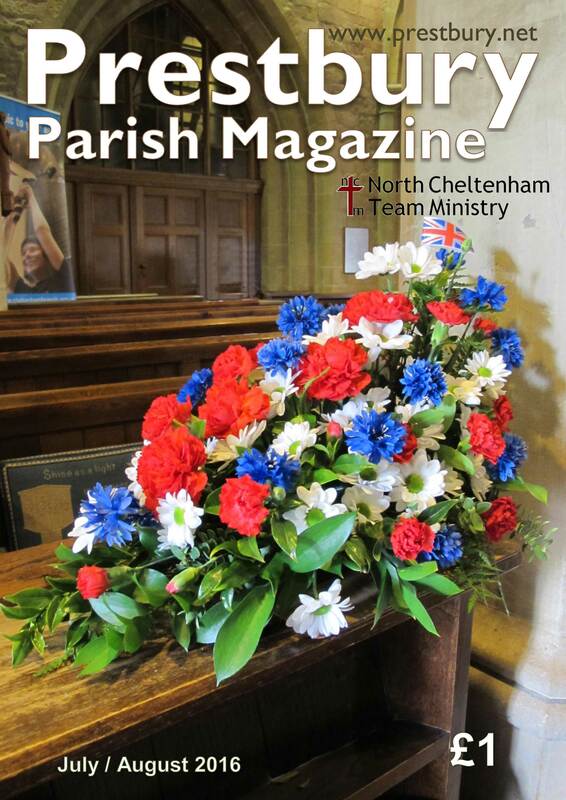 Apart from the regular content, there are reflections on memorable holidays (our theme), pictures from the Prestbury Village Fayre celebrating the Queen’s 90th Birthday, several delightful pictures of the Brownies with the Venerable Robert Springett at St Nicolas, and Bishop Rachel at St Mary’s, all from the same weekend! Many years ago when working in a terribly well-known top secret base somewhere hereabouts I realised an expert was someone two weeks ahead of most others. My skill was writing software for mainframe computers. I don’t do that anymore, I just mess around on PCs and I am by no means an expert. The illusion is pressing buttons and seeing what happens until I find one that works. I’ve been asked several times whether it is best to upgrade to Windows 10. My answer has always been ‘yes’. We’ve all got to try to keep up with the rest of us. If you haven’t already you have until July 29 to download your free copy of Windows 10. Don’t be afraid. Don’t be left behind. It will be different. There will be a few problems, different for each of you. If you cannot see the answer you can always ask your search engine for help. Perhaps in the coming weeks you will visit a museum. If there is anything that strikes you about your visit please share it with our readers. Wherever you are going or whatever you are doing this summer, I hope you enjoy it. See you in September! In 1937 my father’s eldest sister invited him and the family to stay with her in her flat at the seaside town of Southsea. I was then 12, and with my four years older brother Edgar, we were quite willing to change the delights of our Gloucestershire village of Tutshill for the south coast. To be staying in a flat was a great novelty for us and best of all was “the shute”. This was a method of disposal totally different to the “ash bin” at home and you simply opened the lid near the sink and off went anything you no longer needed. I think there was probably more than was needed sent off but the novelty took a while to wear off. My aunt was employed across the road in Kimbell’s, a large store with a restaurant which she managed. We were very impressed and even more so when they were fitting up the room for an evening do and I was given the freedom of the microphone. Of course your own voice always sounds totally different from what you think. The beach was a bit of a surprise as it was not the sands like we were used to at Weston and Barry Island but was made up of large pebbles which were a trial on your bare feet. The first dip in the sea came as a bit of a shock but we soon began to enjoy the waters of the Solent. We later went across for a day trip around the Isle of Wight, with Blackgang Chine and the Needles as highlights. The next time I saw the latter was on returning from war time service in the Middle East. We did a trip on a steamer called the Gracie Fields, as it had been launched by our number one star of stage and screen, which took in Portsmouth dockyard and Southampton docks, though there was a snag. I was very impressed by the large signed picture of the star, but not so much by the smuts which issued from the funnel. A lot of the passengers, instead of enjoying the sea breeze sought refuge downstairs and away from the pollution. At Southampton we went for a tour of the Cunard liner Berengaria which was in dock after a luxury trip. We were very impressed by the opulence of the state rooms and the art work on the different levels. Then to add their own full sized swimming pool was a lot for two Chepstow boys to take in. At the Portsmouth yard we marvelled at the bulk of the aircraft carrier which only a few years later was sunk and lost to the fleet. The other destroyers would all be put to their war time use and we caught up with them on Pathé newsreels in the cinema. Looking at a snap taken in Blackgang, I was surprised to see that I was wearing my grammar school cap – did I take it on holiday with me? Then a picture of father in a deck chair wearing his trilby hat which he would use for going to town. Anya reminded me that it was often the style to wear your best clothes when you went away on holiday. A disappointment for me was that Henry Hall and the BBC Dance Orchestra, with crooner Les Allen, were to appear in the hall of the pier theatre, but unfortunately it was the week before we arrived. I have always hated out of date posters ever since. We also had a visit to Hayling Island where we happily ran in and out of the sea for most of the day. There was a price to pay. As soon as we tried to put our shirts on so the tingle went through us and we spent a miserable night, in spite of being doused in fuller’s earth. Slowly our skins began to peel and we took it in turns to peel the other’s back. Nonetheless we agreed we had thoroughly enjoyed it and went one more time before 1939 put paid to any coastal visits for five years. John Powell’s article “A Mountain to Climb” (June 2016 magazine, pp. 14-15) raised some important points about the nature of change in the church and the difficulty of attracting and keeping young people. As John says, Celebrate! has been going for over 10 years – there has in fact been a Celebrate! service every Sunday (sometimes with a short break during the summer holidays) since October 2004. But, despite that, there are clearly some misconceptions about what Celebrate! is all about, so I’d like to offer some insights on behalf of the Celebrate! leadership team. How does Celebrate! relate to other congregations? There can be an impression that Celebrate! is some sort of training school from which attenders will graduate to a proper grown-up service. Nothing could be further from the truth. Celebrate! is a fully-rounded worshipping congregation in its own right, with its own identity and its own style of worship, just as, for example, the 8 o’clock and 11 o’clock services at St Mary’s have their own style, identity and regular worshippers. In terms of numbers attending regularly, Celebrate! is on a par with, and sometimes exceeds, the 11 o’clock and can claim to be a major service within the North Cheltenham Team – it is no longer an experiment! Is Celebrate! just for young people? It’s worth saying that, although we are blessed that the Celebrate! congregation includes many young families with pre-school and infant school children, it also attracts a wide variety of worshippers from all ages and stages, by no means all of whom are accompanied by children. Is the Eucharist important to the Celebrate! congregation? It may come as a surprise to some to learn that on the second Sunday of each month the Celebrate! service is in fact a sung eucharist, in a format which is relevant and accessible to that community. There is of course still plenty of room for improvement. In common with many churches, we struggle to keep the 7 to 11 year old age group coming to church, in the face of so many alternative weekend activities. Currently we are tackling this through our JC Supersound group for children from Reception upwards. This small but enthusiastic group meets once a month to learn songs which they then bring to the monthly “Big Sing” service. 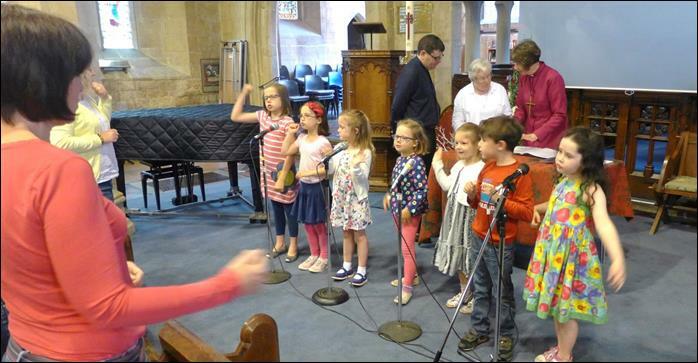 The emphasis is very much on the children learning to lead worship through music, not simply performing the songs. We also recognise that many young adults currently struggle to maintain previous patterns of commitment to the wider life of the church. This seems to reflect busy lives with many competing priorities. We – in common with the wider church – have no easy answer to this, but it may involve re-imagining what committed membership means in our rapidly changing times. Overall we remain positive about Celebrate! as it continues to grow and evolve. As John said in his article, “engaging with change can bring unexpected rewards.” Indeed it can! For a change, why not come along to Celebrate! one Sunday and see for yourself how God is working with this part of his Prestbury family? You will be most welcome! Bishop Rachel was at St Mary’s for a Confirmation and presided at Celebrate! and the 11 o’clock service on Sunday 12 June 2016. She asked for no photos during the services, so these pictures show her being briefed before the services. The singers/band at Celebrate! having a quick rehearsal. We decided on arrival at Salisbury Cathedral to go first through the cloisters to the Chapter House to see Magna Carta. This is in a special “tent” to protect it from the light. Having viewed the ancient document we looked around at the windows and carvings. My eyes were drawn to something more modern! All the way around the walls was a stone bench for the members of the Chapter. Some, near the Bishop’s place, had the name of the person who sat there but all (except the Bishop’s!!) had a cross stitch cushion. 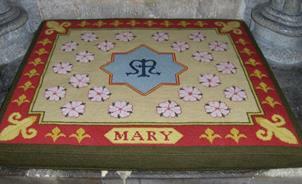 Each cushion had the name of a Saint with his or her emblem and flower. 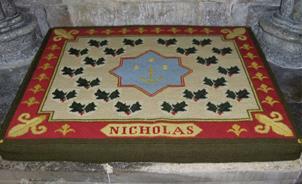 Nicholas, with sprigs of holly, caught my eye and I took a photograph of it. 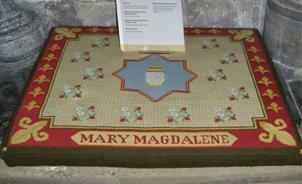 Further on I found Mary and then Mary Magdalene. I began to look for other familiar ones and found Alban for the diocese we came from and John the Baptist from our last church. 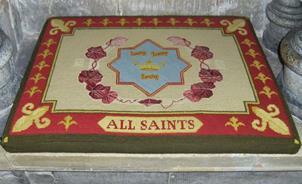 All Saints I found but no Lawrence. What a shame! Chatting to a very pleasant guide I mentioned my disappointment and the reason for it. “Did you see his chapel in the Cathedral?” she asked. We explained that was to be our next place. She told us to look in the south transept. We worked our way around following the excellent pamphlet we had been given (the modern font was particularly eye-catching). We came to the north transept and there was the chapel with a beautiful, spectacular frontal. So North Cheltenham is all there in Salisbury! 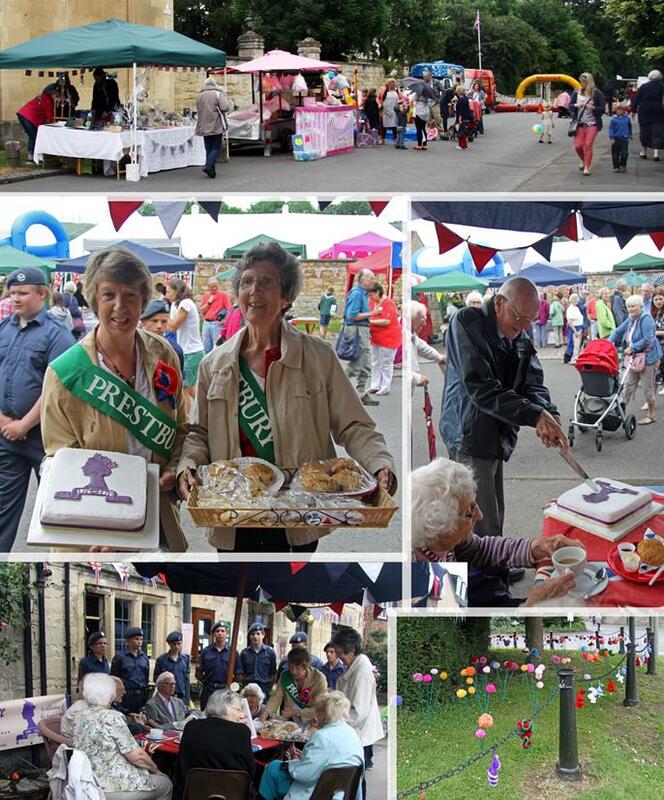 Prestbury always turns out in style when there is a Royal Celebration. This time we were celebrating the Queen’s 90th Birthday. On Saturday 11 June 2016 The Burgage was closed to traffic and, despite the light rain, everyone enjoyed the stalls and attractions. Some specially-invited nonagenarians were served tea by ladies from the WI. Sir John Herbec was invited to cut the cake. We may be all over seventy years old (and many well over!) 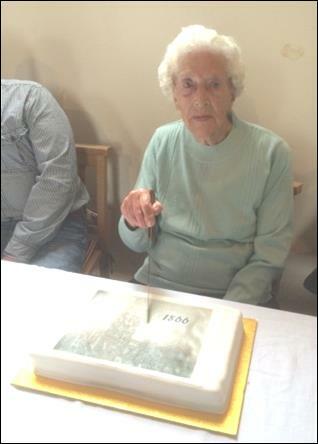 but the thirty-nine residents of Capel Court Residential Scheme in Prestbury know how to celebrate. Last weekend we were not only marking the Queen’s 90th birthday but also, by coincidence, the 30th anniversary of the opening of our complex of bungalows. The land by The Burgage had been given to the Church of England by the generosity of Major Capel and the newly built bungalows were opened in June 1986 by Princess Alexandria as a residency for retired church workers and their partners. Since then over a hundred people have enjoyed living in the cosy houses with their beautiful surroundings. So, on the 9th June, the present residents decided to mark our anniversary by welcoming the new Bishop of Gloucester to share lunch with the residents and to officiate at our celebratory Holy Communion together. It was Bishop Rachel’s first visit to Capel Court and we were delighted with her warm and friendly approach to us all. Then, on the following day, around a hundred guests were invited to a grand tea party. The sun shone, the staff gave up their time to provide a wonderful supply of cakes and sandwiches (washed down with Buck’s Fizz!) and, to show we are not just pretty faces, we had created a fine exhibition to show off the “arts and crafts” skills that so many possess in “The Court”. It was generally agreed that the whole exercise had been a great success - so onward and upward to the next excuse to have a celebration again! 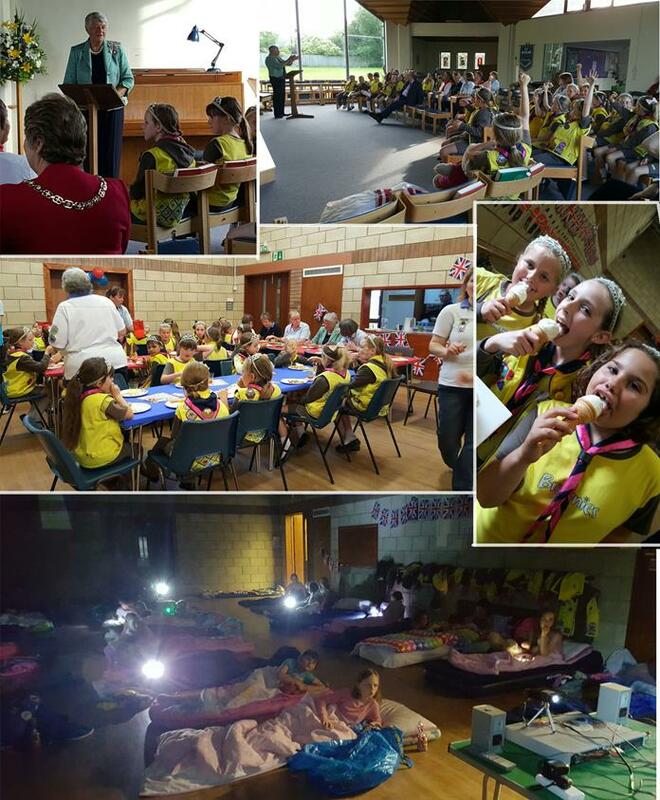 The 36th Cheltenham (St Nicolas) Brownies have often held their sleepover at St Nicolas. There were some very important people come to talk to them at their opening ceremony on the Saturday evening - the town crier; Dame Janet Trotter, Lord Lieutenant of Gloucestershire (the Queen’s representative); Councillor Chris Ryder, the Mayor of Cheltenham and Laurence Robertson, MP for Tewkesbury. The Brownies learnt all about the Queen and spent time making tiaras and teddy bears with royal insignia. 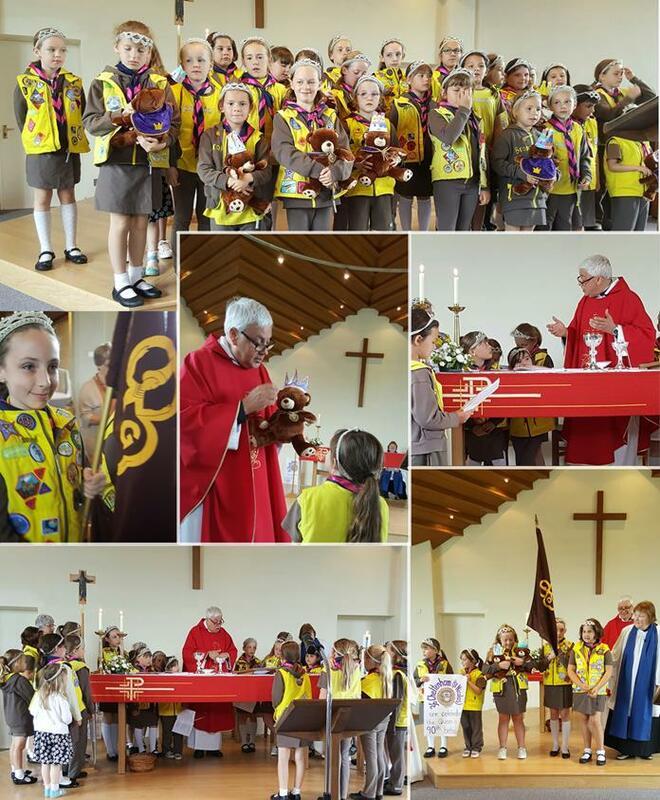 After a midnight feast and a good night’s sleep the Brownies were up early for Church Parade. 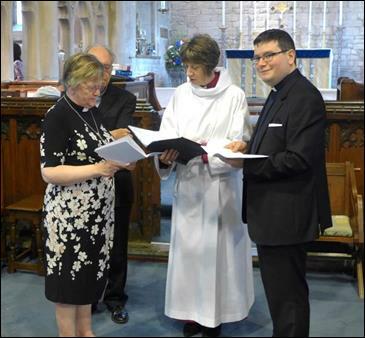 The Archdeacon of Cheltenham, the Venerable Robert Springett, presided over the Sunday service. He made sure the Brownies were involved throughout. The Children’s Society works with children living in poverty and teenagers at risk. As you can imagine, this covers a broad range of work. Each month we are bringing you a story from one of the areas of our work. Last month we focussed on our work with refugees and asylum seekers, this month I’d like to introduce you to Sian, one of our project workers. Sian works with children who have gone missing from home or care and will conduct what we call a return home interview with these children and young people. A return home interview, or RHI, is essentially a chat after a young person has been missing. We’re an independent, non-judgemental compassionate voice and we give the young people a chance to tell their side of the story, to talk about what’s going on in their lives and why they went missing. For example one young woman disclosed to us in her interview about honour based violence going on at home. There was a constant surveillance by her dad and she was not allowed to read any of her text messages, it all had to go through dad first. He had the passwords to her Facebook account and everything. He didn’t let her go out on her own. So she didn’t talk to us about her missing episodes, she talked to us about what was going on at home, and we allowed her the space to talk about that. We get a lot of first-time disclosures like this in our interviews. Our success stories unfortunately lie in being able to advocate a young person’s victimhood to the professionals around them, so they get access to the support they need. For example we did a double return home interview for some young people who had been missing, and they made a set of first time disclosures around serious physical and emotional abuse and neglect in the home. One of them had been raped when she was 13 while the other one was there. They had then been placed somewhere else and were being neglected there too. At meetings, the local authority kept referring to their behaviours. ‘They keep doing this, they keep doing that’. We fought and fought to make them realise that such behaviour is normal for a young person who has experienced that level of trauma. We told them, these are victims and need to be seen as victims. Many professionals think going missing is just something that happens, but going missing is a symptom of other issues, and the more times a child goes missing the more risk there is. Your donations, prayers and time enable our work with children and young people who run away from home and care to continue. Thank you. 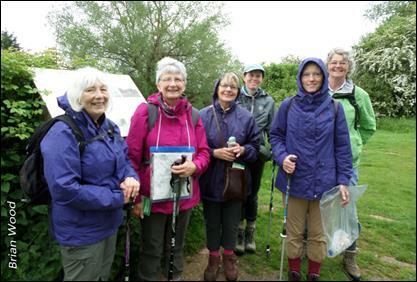 Seven brave souls chose to ignore the dire weather warnings for 21 May and we were glad that we did because the rain amounted to little more than a short sprinkling at the start of the walk. We may have been too late for the fritillaries in the North Meadow at Cricklade but there were plenty more wild flowers to admire including some yellow flags in the disused canal. Thanks to Margaret Compton for an enjoyable morning walk and lunch in a rather quirky pub! June’s walk was a break from the norm. After a good lunch at The Crown, Kemerton we commenced our walk, once again ably organised and lead by Janet Waters. After the wet weather of the previous week we were blessed with a fine afternoon. 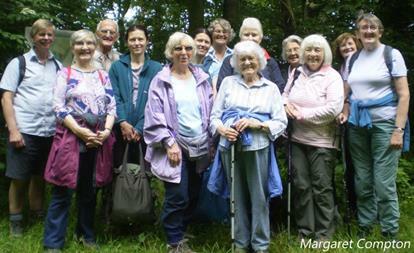 A group of 14 enjoyed walking through part of the Nature Reserve before ending back at Kemerton and its Walled Garden. We were all amazed at this beautiful garden filled with such colourful flowers being maintained by the owners and a very small group of helpers. The afternoon was rounded off by a visit to the local church of St Nicholas with its beautiful Reredos painted by a local lady, Gwendoline Hopton, in 1912. Thank you, Janet, for a most enjoyable afternoon. Preveza airport in the ‘80s was a runway, Customs and Baggage a shack with bougainvillea between the cracks in the concrete, putting you immediately in the right frame of mind for a holiday. The cabin crew would throw back the exit door to a wall of heat and cicadas, the sky a surreal blue. After the cool of the inflight air con the contrast was overwhelming and immediately exhausting. Herded to a jetty and an open boat with an outboard engine, all 30 or so of us sank into whatever space there was on the wooden benching. The same faces were repeating themselves through the haze - the rest of the flotilla no doubt. There was little conversation, we were fast becoming drowsy in the full sun, only the pitching against the current keeping us conscious, swigging our warm bottles of water and leaning into the breeze. After an hour or so we were aware of shallower water, the whitest quay side houses held within the crook of the harbour’s arm. The engine was stilled and the sudden quiet was absolute, and stunning. This was pre Captain Corelli’s Mandolin, so those of us who were first time visitors to Greece were mesmerised at the whole experience. The lead crew greeted us and suggested we dump our bags as soon as they had shown us to our boats, all apparently named in maths symbols, and go for a swim to revive. I had never much enjoyed swimming pools, the echoing and the smell of chlorine, but warm water so clear, so blue, just lapping at the boat ladder, that was more than okay. The whole flotilla found their voices and chattered and laughed as dust and tiredness slipped from us. Later, a few yards along the harbour wall, we all got together in the taverna. It would seem that, by and large, sailors are tolerant and friendly, and no time is wasted on hanging back. You will be together for a short time only, and may well have to rely on each other. The children too, from toddlers to teens, got together and wandered off in the safety of a small community. Next morning we settled readily into the routine, straight into shorts, no preening required, breakfast of yoghurt, honey and apricots. Then the itinerary meeting, a trip to the charcuterie and to a baker’s for lunch ingredients, then anchors aweigh (no electric winch). One of the daily decisions to be made was whether to clamber into the dinghy for a beach picnic or eat on deck and swim off the boat. The men quite liked to be at the helm, which meant the ladies dropping anchor and, mostly, we were quite good at judging the depths. Except the day it had been agreed to meet up at a gently sloping beach where we could simply walk ashore. On approach the ladies were somehow distracted and one after the other, to howls from the skippers, 12 keels scrunched loudly on the shale as timings went awry. It was a male naturist beach. All crews lunched on board, facing the horizon. Ladies were subsequently allowed to take the helm. Sometimes. The experience of dolphins playing in and out of our bow wave, stars you could almost touch as we rowed back from a taverna, or each crew doing a turn at the beach barbecue built from driftwood everyone had collected, those are among the best of memories. Plan your summer with the Summer Reading Challenge and stacks of great children’s events at Prestbury Library! Thu 4th Aug (10:30-11.30) ‘Matilda’s Newts’ plus John the Magician at 11am. Here at Prestbury Library we are gearing up for the Summer Reading Challenge 2016. The challenge is aimed at readers aged 4 – 11 and encourages them to read six books of their choice over the summer (collecting stickers and rewards along the way). The theme for this year is ‘The Big Friendly Read’ – celebrating the centenary of Roald Dahl as a master storyteller. Please come along to one of our many linked craft sessions and themed events shown above –all free and no need to book. 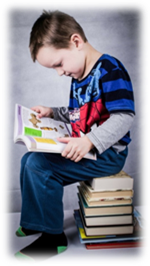 Registration for the Summer Reading Challenge begins in Prestbury Library on Saturday 16 July 2016. The challenge ends on Saturday 10 September 2016. Reading Hack is a programme led by young people aged 13-24 who carry out reading activities and volunteering, called ‘hacks’, to gain skills and experience. The programme aims to inspire young people to become advocates for reading. As part of Reading Hack, young people may volunteer to help with the Summer Reading Challenge or with other roles within libraries. So what is a ‘hack’? A hack is ‘a clever solution to a tricky problem’. So a ‘reading hack’ is an activity with reading at its core that encourages young people to use the library and inspires others to read. Please do get in touch if you have any ideas or would like to get involved. 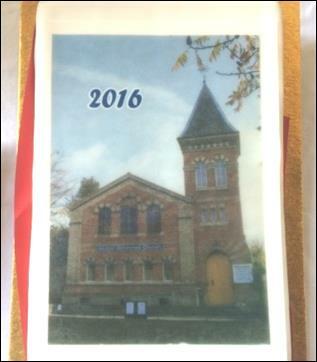 On Sunday 22nd May Prestbury URC celebrated its 150th Anniversary. It has provided a non-conformist presence in the village for all that time. The church was full for the communion service led by Maz. 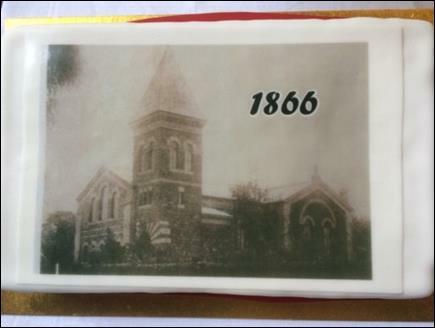 Afterwards the congregation and friends enjoyed a delicious celebratory lunch after which the two birthday cakes were cut by Gwen Hewinson. We were delighted to see Joan Winterbottom again as well as to welcome the Revd Angela Smith from the North Cheltenham Team (Canon David was able to join his wife for cake at the end) and the Revd Dee Brierley-Jones. Friends came from The Church in Warden Hill, St Andrew’s and St Mary’s. Unfortunately, Glyn and Sheila Jenkins were unable to attend as were Richard and Felicity Cleaves of Highbury, but they all sent their best wishes. Fiona Maye is a successful and highly respected High Court Judge in the Family Courts. As such she bears responsibility for pronouncing considered and well-argued decisions on many and varied cases, all of which have a profound effect on the lives of those people involved. Understandably, there is also an emotional effect on Fiona’s own personal life and marriage, and the novel explores the balance between work and home, and the challenges which arise when there is an unexpected emotional and personal link. Her career in law has been so important to her that she has never found the right time to have her own children and this is sensitively addressed. The judgements in several family legal cases are described, many of which have as their context the firmly held beliefs of parents. Two in particular are very significant in Fiona’s life: the separation of some Siamese twins, and the treatment of a 17 year old Jehovah’s Witness by blood transfusion. Ian McEwan’s elegant, well researched descriptions paint a clear and moving picture of the intricacies of the different points of view in each case. In particular he looks at the dilemma of the ability of a minor to make his own choices, and at the area of “Gillick Competence”, in the face of the law which states he has no legal right to make his own decision. The remainder of this short novel revolves around the consequences of Fiona’s decision, which, Ian McEwan has stated, was based on a real case. This is a gripping and thought provoking book to read, with an outcome both frustrating and poignant, and I would highly recommend it. Scholars all over the world commit their time to trying to understand and answer questions about different aspects of life, our world and our Creator. In the Bible we read of a young man who asked Jesus the most important question ever. What do I do to inherit eternal life? The beginning of Jesus’ response was what the Rabbis and Scholars of the day would have no doubt wanted to hear; ‘You know the Ten Commandments’. Being a Jewish male, the young man responds by saying he has kept these since a child; as he would have sat in the synagogue for many, many hours studying scripture. I imagine that his response would have been pleasing to the ears of the Rabbis and Scholars. But Jesus, as he responds takes the conversation much deeper as he says, ‘but there is one thing you lack. Go, sell everything you have and give to the poor, and you will have treasure in heaven. Then come, follow me.’ Not what the man wanted to hear, as he had great wealth, and left saddened by the words he had heard. How do we relate to this young man’s story today? Jesus’ words in John 15:1-2 are a good place to start. ‘I am the true vine, and my Father is the gardener. He cuts off every branch in me that bears no fruit, while every branch that does bear fruit he prunes so that it will be even more fruitful’. In the summer our gardens can be full of green flowering shrubs, fruit bearing trees and colourful flowers as a result of some thought out pruning back in the Autumn. What about our lives? Do we radiate and reflect the beauty of Christ because we are open to his pruning? Are we allowing Him to hold our hand as we get rid of baggage we carry, either in relation to our own uncertainties, or attitudes and labels others place on us? This was a huge challenge for the young man who asked about eternal life and can equally be a challenge for us. But God doesn’t expect us to carry out this act of pruning our lives on our own. In Mark 10 when Jesus looked at the young man he loved him (verse 21), and this act of love was indicating that Christ wanted the young man to prune his life with God there in the centre of it all. Likewise, God offers himself to us in the process. Jesus says ‘I am the vine, and my Father is the gardener… you are the branches’ (John 15:1-5); we are connected to God. Therefore together, if we are willing to be open to God’s voice, he can gently show us what areas of our lives need pruning, even when this is a painful process, so we can grow and bear fruit in our lives and share Christ’s love, care and compassion within our families, church life and community. You can find the story of the young man’s encounter with Jesus in the Gospel of Mark, chapter 10, verses 17 – 22. Please join us for our monthly coffee morning on Saturday 2nd July from at 10.30 am -12 noon. As well as the legendary toasted teacakes there are books, cakes and a raffle. All are most welcome. Gloucestershire Wildlife Trust are walking for wildlife again! Returning with our much loved, family (and dog) friendly annual walk which celebrates the best of Gloucestershire’s Countryside. This year we are delighted to present to our supporters our new Crickley Hill reserve and the chance to enjoy everything the site has to offer. Situated between Cheltenham and Gloucester this historic site has some great features. Our 3½ mile circular route will follow in the footsteps of naturalist and explorer Edward Wilson, who was the chief of the scientific staff on Scott’s final expedition to the South Pole and who loved the area. Scott acknowledged that it was Wilson who ‘opened his eyes to nature’ and Peter, Captain Scott’s son, fittingly went on to found Gloucestershire Wildlife Trust in 1961. Our walk will take in some spectacular views, ancient SSSI woodland which hosts rare plants such as the Birds Nest orchid, birds, including the Great Spotted Woodpecker, and nearly 500 species of fungi! This really will be a celebration of our new site, an opportunity to showcase just how much there is on offer and to hear from expert reserve managers about the fascinating history and ecology of the reserve. The afternoon will be rounded off with a chance to enjoy refreshments, and family fun. We hope you can all join us! Previous pig roasts have been very well attended, so this event probably needs little introduction! This year’s roast will be set in the delightful grounds of Moat House in Uckington, a splendid location to spend time chatting to friends whilst sampling great food. Entry - £6.50. A light-hearted voyage around British sea-songs of various kinds navigated by the intrepid singers of Musica Vera. Conductor David Dewar. Admission £12 at the door, under 16s free. For further details ring 01242 517258. A donation from concert proceeds will go to Sue Ryder, Leckhampton Court Hospice. This is a Cheltenham Music Festival Plus event. Please do come along for what is sure to be fascinating and interesting evening. Visitors are always welcome at our WI meetings. They are held on the second Monday of each month and start at 7.15pm in the WI Hall on Prestbury Road. For further information on WI activities please contact Sally on 01242 523558. Music with rhythm, an infectious beat in the base, rapid riffs … this event is guaranteed get you in the mood and set your feet tapping. Please join us and come along to Moat House for a great evening. Tickets £30, to include food and a glass of bubbly. All proceeds to go to Carers, Gloucestershire – an organisation dedicated to providing a better life for carers in the county. Please join us for our monthly coffee morning on Saturday 6th August from at 10.30 am -12 noon. As well as the legendary toasted teacakes there are books, cakes and a raffle. All are most welcome. 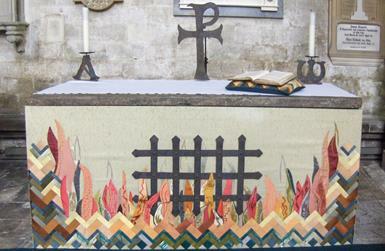 This year’s Gloucestershire Historic Churches Trust event takes place on Saturday 10th September. The purpose is to raise vital funds through sponsorship, which are then shared between a church of your choice and GHCT which provides grants for historic churches in the county in need of repair and maintenance. Why not join us? Invite friends and family to sponsor you then ride your bicycle/scooter/horse, walk or run, visiting some of Gloucestershire’s beautiful churches and taking in the landscape along the way. Many churches will be open especially on the day and some will be providing refreshments too ! If that sounds a bit too energetic, why not volunteer to help for a short while at St Mary’s with the refreshments and a much needed smile for the weary participants. For further information and sponsor forms please contact your area organiser, Helen Mann on 01242 232413. I look forward to hearing from you. Come and take a look at the local history on display in our beautiful church. With the site dating back to Saxon times, the church contains examples of Saxon, Norman and Victorian architecture. Parish records will be available for inspection, some of which qualify as the oldest in the country. The tower will also be open, enabling fantastic views of the open countryside.